It's a simple equation: the more skilled and educated your technicians are... the greater your fleet's uptime will be. Contact us for more information and upcoming programs. DC Motors Plus offers SCHEDULED MAINTENANCE SERVICE PROGRAMS for electric, gasoline, diesel and L.P. gas operated equipment. Our trained and certified staff strives to assist every customer in reducing and eliminating "down time" on their equipment, which ultimately reduces unexpected costs and employee inefficiency. Call DC Motors Plus in Muskego, Wisconsin for expert repair of your material handling equipment and forklift trucks. Our mechanics come to you to do on-site repairs of your industrial equipment, such as forklift trucks, including diesel engines. 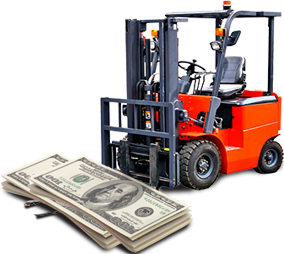 We have a complete Scheduled Maintenance Service Program for Electric and L.P. gas operated Fork Lift Trucks. We also repair DC (direct current) motors. The best Price, Service and Quality is what DC Motors Plus provides to meet our customers' satisfaction.